If you’re an avid knitter and enjoy knitting cosy gifts for your loved ones, continue reading to discover a few different projects that utilise big twist natural blend yarn. If you have years of knitting under your belt and aren’t afraid to take on challenging knitting projects, you may be interested in looking for a pattern for a traditional Scandinavian fisherman sweater, which will keep you warm on the coldest winter days. There are two reasons why it’s a great idea to knit a cuddly warm throw blanket. The first is that you’ll be able to drape your throw blanket over the arm rest of your sofa, in order to decorate your lounge. While the second reason why you should knit a cuddly throw is that you’ll love being able to cover yourself in a soft throw blanket, when you’re binge watching your favorite TV series or rematching one of your all time favorite movies. While you may have knitted a dozen scarves in the past, you may be interested in knitting a snood style scarf, which is also known as an infinity scarf and which is connected in a circle ring style shape. If you’re looking to create a quick, hand made gift for a loved one’s rapidly approaching birthday, you simply can’t go wrong trying to knit a modern snood style scarf. Another simple project that you may want to take on involves creating a standard beanie but then adding an oversized pom pom to the top of your beanie. If you have young kids or grandkids, it’s well worth knitting them a cute pom pom style beanie as it will be sure to become their new favorite hat and they may even try to wear their new home made beanie even when its hot outside! While you may spend the majority of your time knitting cute clothing items such as cardigans, sweaters and scarves, you can also use your talent for knitting in order to knit toys for the kids in your life. To start off with, you may want to try knitting a small, miniature sized teddy bear. That you’ll be able to gift to a child in your family or one of your best friend’s children. Once you’ve got the hang of knitting teddy bears, you’ll be able to experiment with creating other types of soft toys such as soft roy rabbits and monkeys. One of the reasons why you may prefer knitting mittens over gloves is that mittens are a lot easier to knit as they only have two seperate compartments whilst gloves have five different compartments. One for each of your fingers and your thumb. 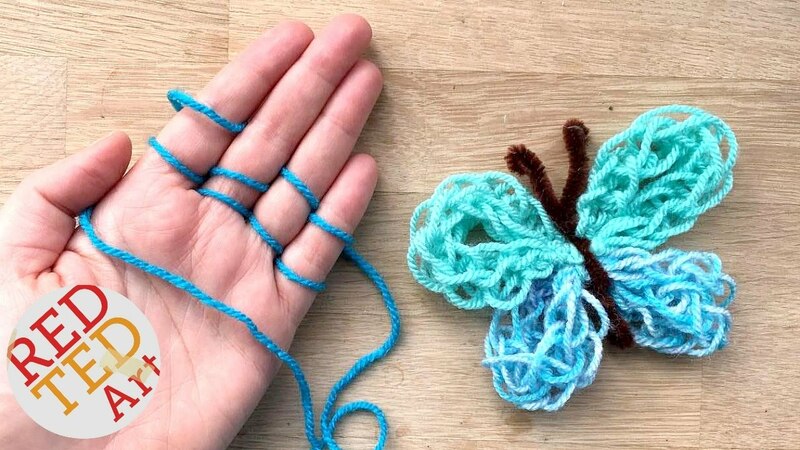 If you want to take your knitted mittens to the next level, simply create fold over tips for your mittens, so that the wearer of your mittens will be able to expose their fingertips in order to eat, write or grab items easier. So there you have it, six fun knitting projects that will definitely keep you busy for the next couple of weeks!